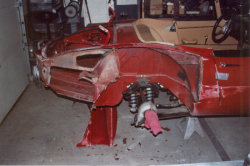 E-Type vs. guard rail... rear quarter has to be replaced. 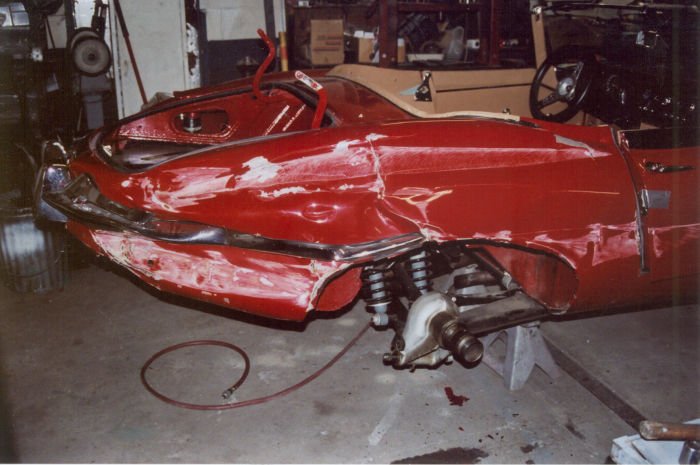 E-Type collision repair; rear quarter skin being removed. 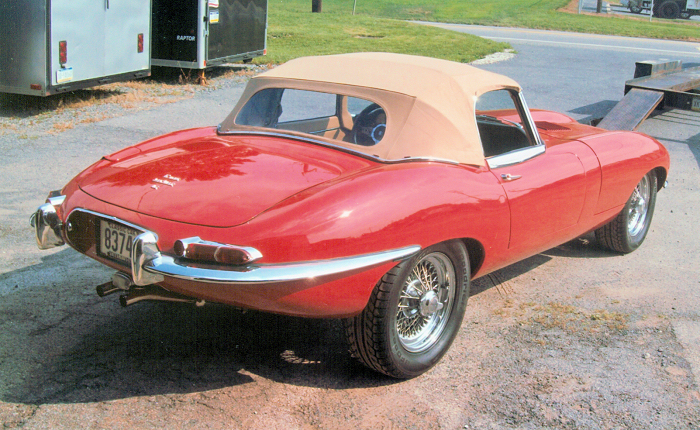 E-Type collision repair; Done!